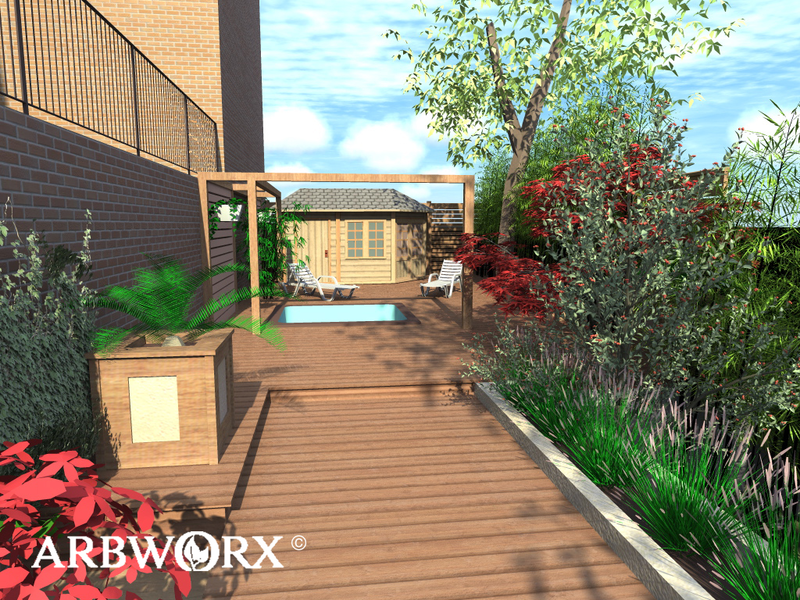 The team at Arbworx has a wealth of knowledge and experience in the design and layout of gardens and landscape projects. The designer’s final impression of the commisioned build. Rarely do we get an exact reproduction of the design as there will always be small changes as the build commences but the final result is always as impressive! We really enjoy designing and creating the perfect space to meet your individual requirements, and we are also happy to work with other landscape architects in the build process if you have had a design created already and are looking for a contractor to carry out the actual build for you. Being flexible in this respect not only gives you choices in the project commission but gives us the opportunity to expand our knowledge base and see how others perceive the client brief. We believe in constant training and sharing of knowledge to improve all aspects of our business. Here is an example of the design process we use here at Arbworx to achieve the high results that our clients expect. If you take a look in the portfolio section you can see some of these designs brought to life! Using all the views we can create a virtual image of the build for the client.